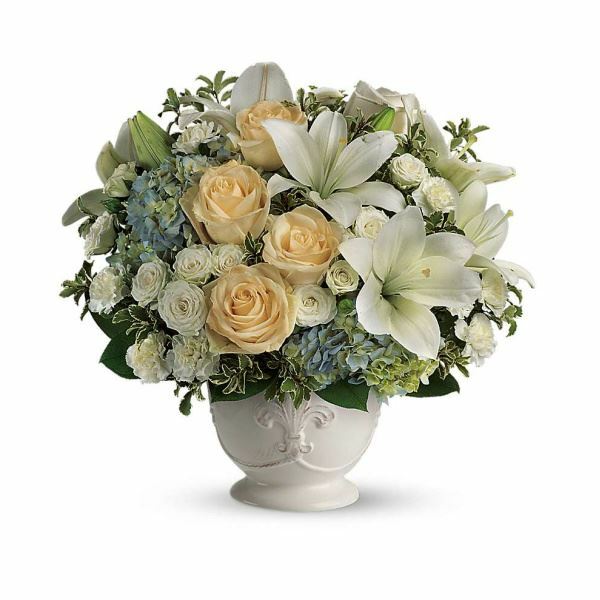 Provide comfort for the family of Patricia Shapiro with a meaningful gesture of sympathy. Patricia Ann Shapiro, age 89, died peacefully surrounded by family and loved ones, on January 26, 2019, after a long struggle with Lewy Body Dementia. Raised in Jamaica Plain in a loving family with her parents, the late William and Mary Hatje, and her sisters, the late Rita MacLellan and Jean Kinsman. Patricia married the love of her life, Donald Shapiro, on March 25th and they enjoyed 69 years of bliss together. She dedicated her life to raising five wonderful children; Jill Shapiro Kornack, the late Jan Shapiro Rumsey, Susan Shapiro Boston and her husband Stephen, David Shapiro and his wife Lee, and Allison Shapiro Smith and her husband Blake. She adored her 13 grandchildren; Scott Domineau (wife Amy), Seth Domineau (wife Katie), Heather Kornack, Matt Kornack (husband Tim), David Kornack (wife Katrina), Ana Rumsey, Tatianna Rumsey, Patsy Boston-Poulson (husband Ben), Blake Boston, David Shapiro, Alix Shapiro, Jake Smith, and Mekenzie Smith. She is also survived by 11 adorable great-grandchildren, and many nieces and nephews. Pat had a great love for the beauty of nature, music, and the sound of children’s voices. She and her husband shared a love admired by all. They spent their summers on Cape Cod enjoying the ocean breeze and the sound of birds from their deck, sunsets at Rock Harbor, and always a cup of clam chowder and side of onion rings. Relatives and friends may gather on Friday, February 1, at 11:30 am, at St. Edward the Confessor, 133 Spring Street, Medfield, MA. Burial to follow at the Highland Cemetery, Center St., Dover, MA. In lieu of flowers donations can be sent to Doctors without Borders or Sisters of the Poor. Philip and Cheryl Silva purchased flowers for the family of Patricia Shapiro. The Baker Family purchased the Summer's Light Bouquet for the family of Patricia Shapiro. Sending my sincere condolences to all in the Shapiro family. I always smile when I remember Pat and feel blessed she was the mom next door. April Bay purchased flowers for the family of Patricia Shapiro. Jim and Willow MacLellan purchased the Sweet Tranquility Basket for the family of Patricia Shapiro.